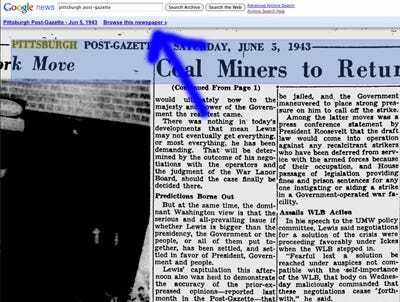 Google News launched a new “Browse this newspaper” features for its digitized publications including The Montreal Gazette, The Sydney Morning Herald, St. Petersburg Times, Pittsburgh Post-Gazette and more. Publishers who partner with Google for the archive, which include captured images of print pages, are searchable in the Google News Archive. Newspapers like the New York Times still have have archive search available here, and have links back to the newspaper’s own online archive. Hat tip to Google’s help forum and Search Engine Roundtable.